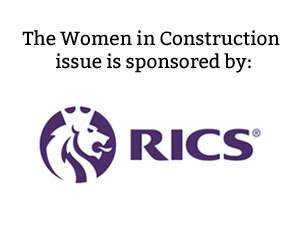 Hello and welcome to issue 64, our Women in Construction special. In this issue we’re bringing you stories of women who are leading the way in their respective fields and who are showing that women are becoming a key part of the future of the construction industry. 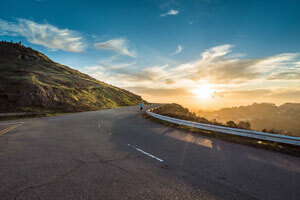 As the sector faces challenges in the UK post the vote for Brexit, including uncertainty about access to skilled labour, women become an ever more important part of the talent ecosystem. This got me thinking about the whole notion of ‘construction’ and the way it applies to women. The work I’ve done for Womanthology tells me that women and men often approach worked based challenges and opportunities in different ways. A female leadership style is commonly perceived as more collaborative and nurturing. Could this apply in the context of the construction industry? Are women creators over constructors? Could this emphasis of creativity be used to attract more girls and women into the construction sector? According to Yilmaz Hatipkarasulu and Shelley E. Roff from the University of Texas and San Antonio, the participation of women in the construction workforce in France, Spain and Germany goes back to the 13th century. Often working under the tutelage of their husbands or fathers, women often worked as masons, carpenters and door makers. Women weren’t allowed to take on management positions unless their husbands died and the craft guild allowed them to continue running the family business. In Europe, the Byzantine and Muslim worlds, women also became patrons of architectural projects. There was gender segregation and women were paid less, but they were actively involved in construction. According to a report by the Smith Institute, participation of women in England goes back to the 16th century, but was eroded by increased occupational gender segregation in the early 19th century as the statutory system weakened and women became excluded from trades such as bricklaying, carpentry, plumbing and painting. At the time all trade unions excluded women. Fast forward to World Wars I and II, where women’s skills were in demand again. The onset of WWI increased the number of female workers in the building trades from 7,000 in 1914 to 31,400 in 1918. 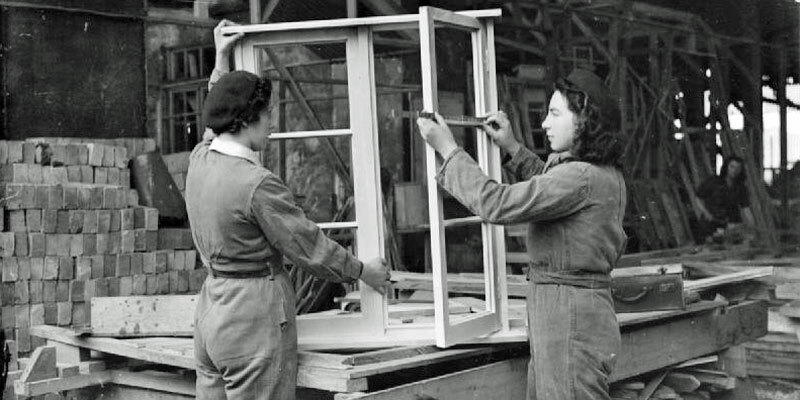 The government agreed with trade unions to allow women into skilled male jobs as long as wages were kept low and they were released at the end of the war. Similarly, in WWII women were in demand again, famously working on the new Waterloo Bridge that replaced the bombed original. The replacement was affectionately referred to as “The Ladies Bridge”. So women have always been a key part of the construction workforce, and they can be again. Firmly back in the present day, with a future focus, in this issue we talk to a range of women from different backgrounds – from surveying to architecture, to carpentry and plumbing, to construction management and landscape architecture. I’m also delighted to announce that RICS is the sponsor of this edition as they are committed to diversity and inclusion in the profession. You can hear from their President, Amanda Clack, about all the ways they are supporting girls and women to develop careers in surveying. Their diversity and inclusion work is impressive, and on a global scale too. I’m proud to be working with them. I love the way in Womanthology we’re able to connect girls and women to paths that might not previously have been aware of. And we can all help. Every single one of us (and not just women) has a career story to tell and wisdom to share, whether we realise its value or not. What is great about construction too, is that there is so much choice. It’s not all about getting grimy on a building site, although what is wrong with that? It’s not all about heavy manual lifting and brawn anymore either. Modern construction techniques are increasingly helping us to challenge gender stereotypes. I know two awesome female crane operators – Vicky and Casey – and they love their jobs. So let’s follow their lead and reinvent construction for the next generation of women.